A 30 year lease of forest habitat in Khe Nuoc Trong has been signed by Viet Nature Conservation Centre (Viet Nature), Le Thuy District People’s Committee and Dong Chau Watershed Protection Forest Management Board. 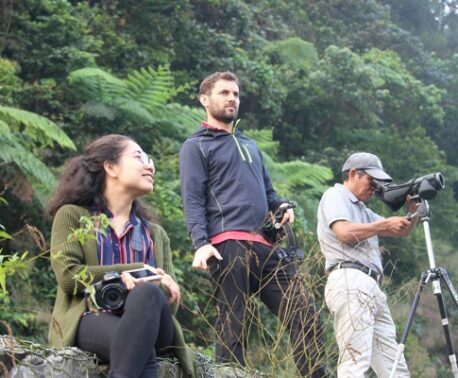 With funding from the Carbon Balanced programme, World Land Trust (WLT) is supporting conservation in Khe Nuoc Trong in partnership with Viet Nature. Khe Nuoc Trong is not only one of the best remaining tracts of lowland forest in Vietnam, but retains rich biodiversity despite the pressures imposed on it. 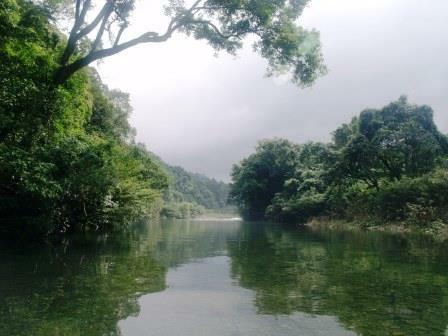 The lease covers approximately 2,000 acres (800 hectares) of lowland broadleaved evergreen forest within Dong Chau. The first of its kind in Vietnam to be carbon financed, the lease will protect an area of forest for scientific research and long term biodiversity conservation. The signing of the lease is an important milestone in the overall conservation project designed by WLT for 49,420 acres (20,000 hectares) of Khe Nuoc Trong. “The lease gives a toe-hold on the conservation site and is a promising step towards conserving the lowland forests of north central Vietnam,” said Roger Wilson, WLT’s Senior Conservationist (Special Projects Development). “The 30 year duration of the lease shows our long term interest and commitment in supporting biodiversity conservation in Truong Son Key Biodiversity Area,” said Le Trong Trai, Director of Viet Nature. As well as funding a team of five rangers in Khe Nuoc Trong, WLT is supporting Viet Nature in working with forest owners, local communities and authorities to ensure that the area is well protected. 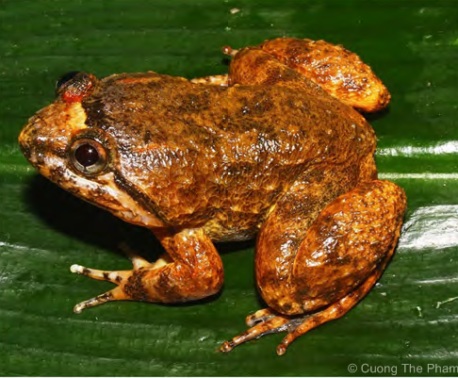 Additionally, WLT has helped fund botanical and reptile/amphibian surveys, the ongoing camera trapping programme, and is also investigating sustainable use of non-timber forest products in the area. The forests of Khe Nuoc Trong are being lost as a result of illegal logging and, with ranger patrols confirming that illicit timber extraction is ongoing, site protection is essential. Despite the loss of habitat, camera trap records indicate that a wide range of species is still present, if elusive. But, with hunting rampant, species are at risk, in particular Saola (Pseudoryx nghetinhensis) and Sunda Pangolin (Manis javanica), both classified by IUCN as Critically Endangered. In this context, this lease of forest environment in Khe Nuoc Trong will help to ensure that the area is well managed and protected from harm. The ongoing conservation costs of the project are being covered by WLT’s Carbon Balanced programme which is protecting carbon stored in the recovering forest. The signing took place at a special ceremony on 5 February 2015.